Kobbari Kudumulu are one of the most delicious festival dishes that can taste. 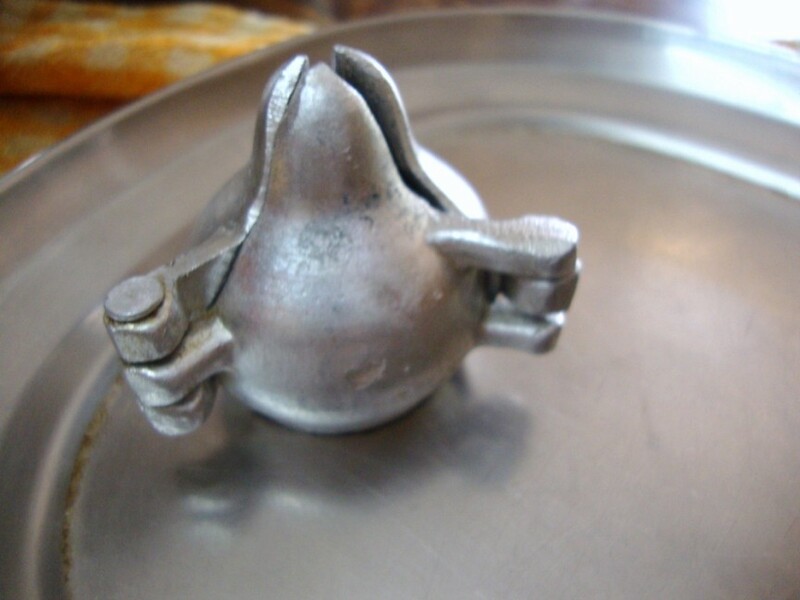 Konda once had a chapter that talked about melting Kolukattai and was ever curious to know how and what this dish was. 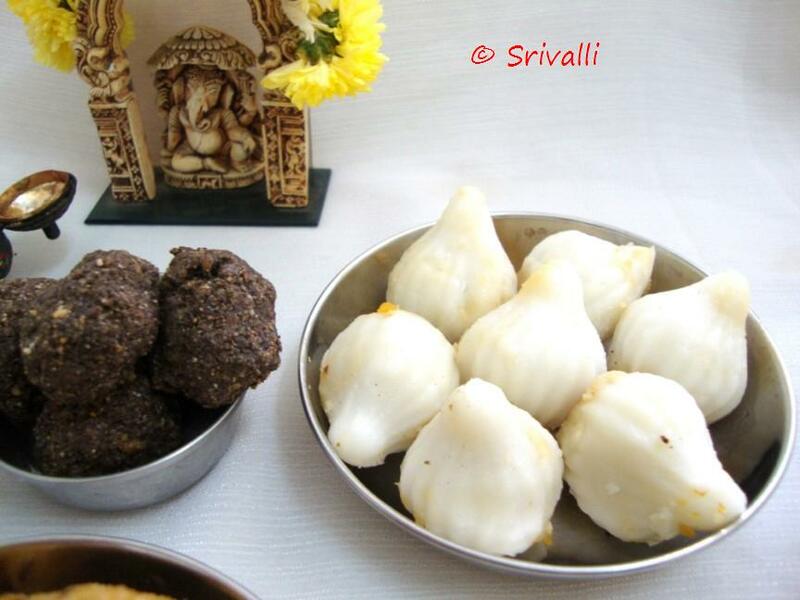 Every time she asks me, I used to tell her that she ought to wait for the Ganesh Chavathi for tasting this dish. She was also eager to try her hand at making these. 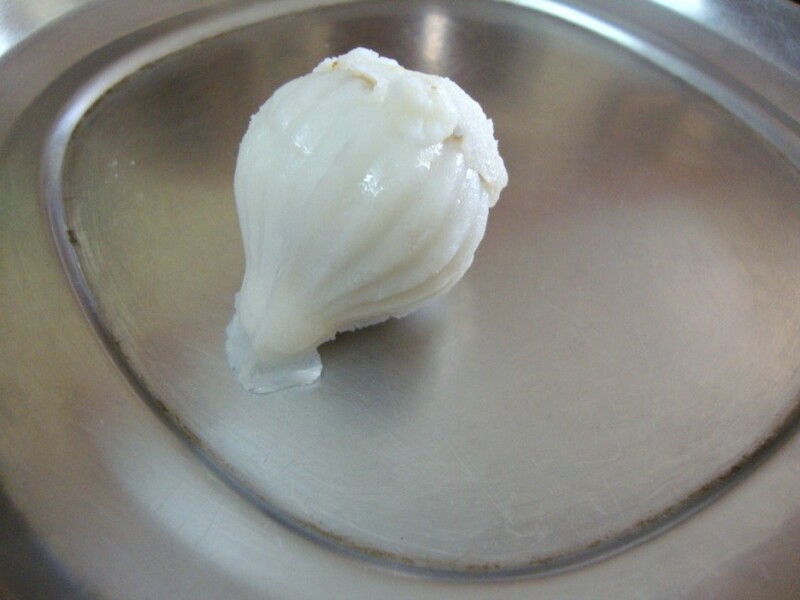 For this year’s Vinayaka Chavathi, along with me, it was Konda who did the major work of making these pretty Modek in the shape of garlic bulbs. The recipe is pretty much the same as I had already posted. But I wanted to make sure I had the step by step pictorials as many of you had asked for them. 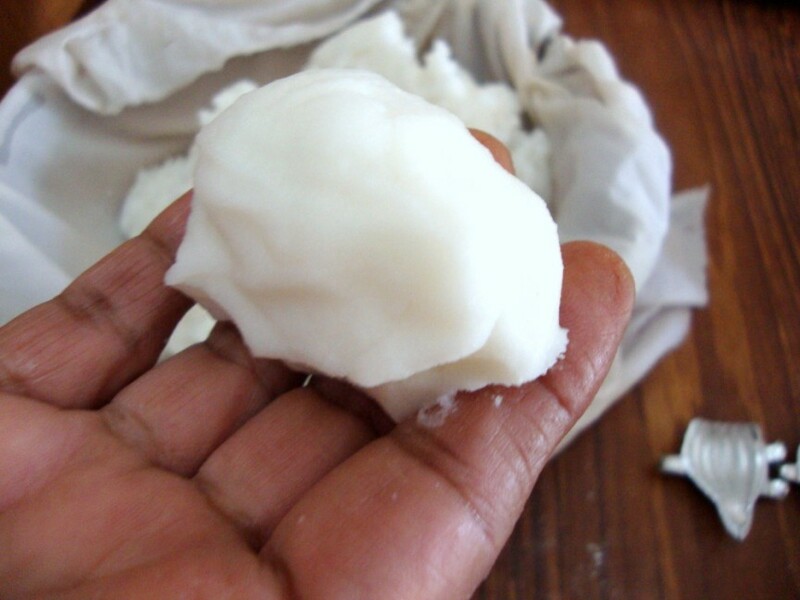 Kobbari Kudumulu recipe that is already posted is the way I did this time too. 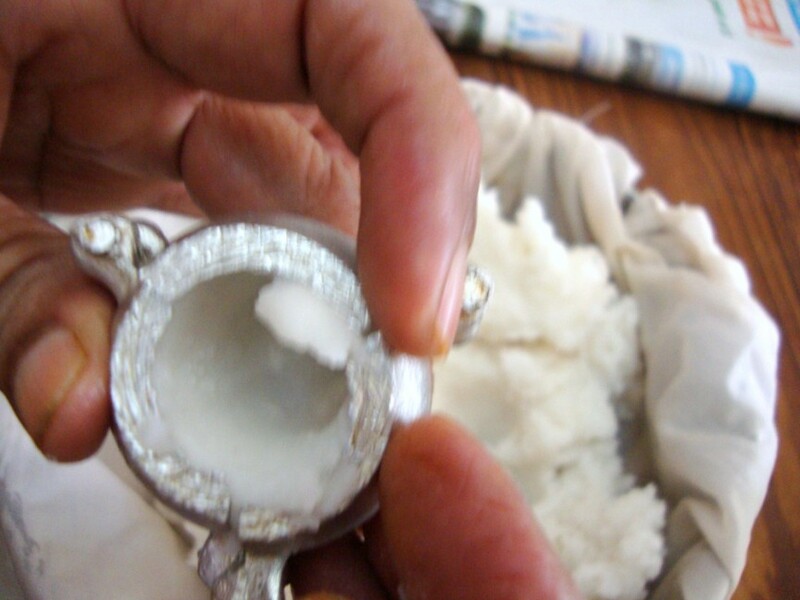 We normally use home made Rice made Flour for making these Kudumulu. 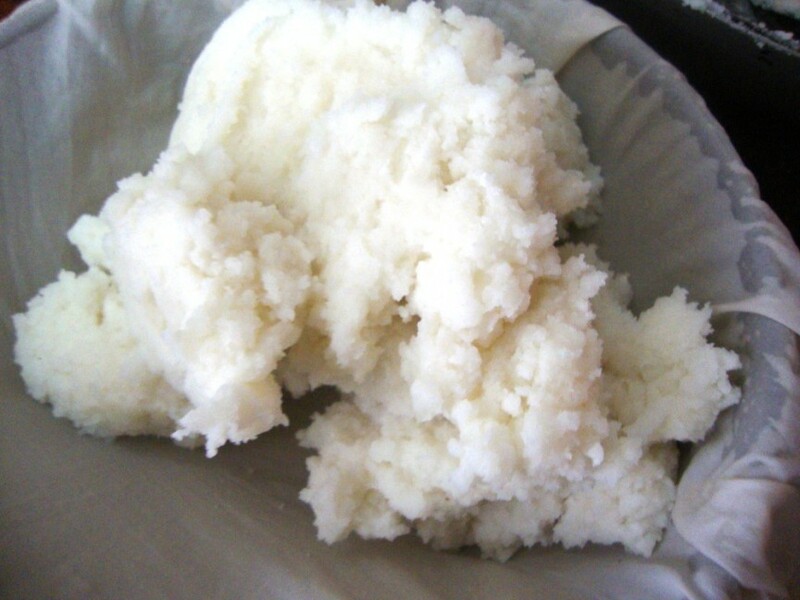 Heat water and slowly add the rice flour to make the dough. 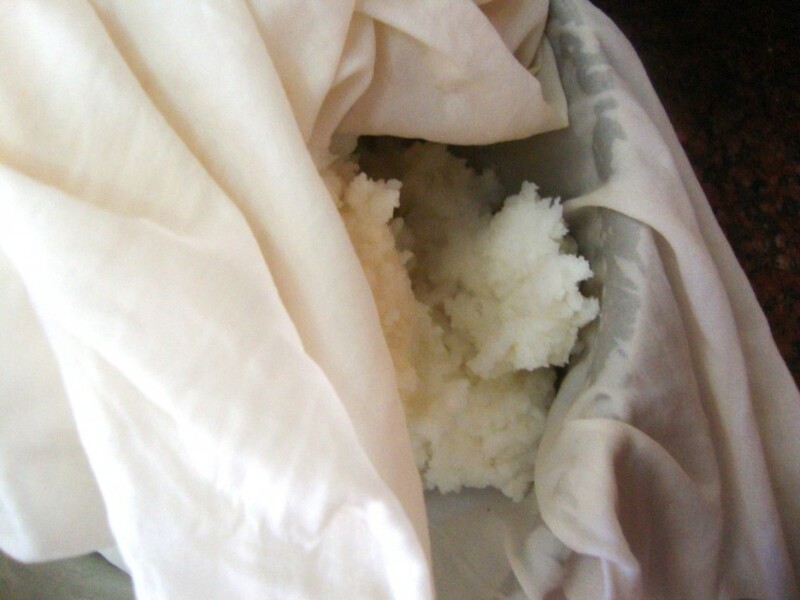 Immediately transfer to a bowl and cover with a wet muslin cloth until you use it. This is very important for getting the soft modek layer. 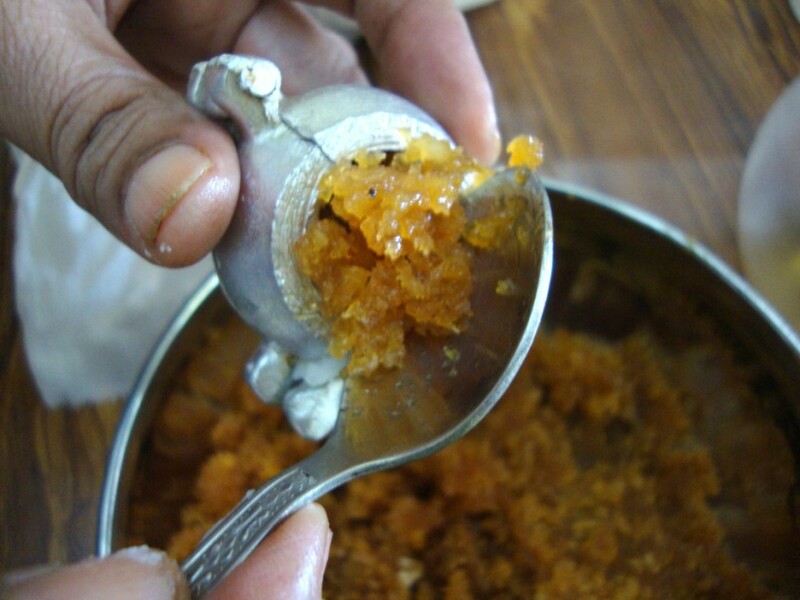 Meanwhile get the stuffing ready by making a syrup with Jaggary and grated coconut. Keep it aside once ready. When you are ready to make the modek, knead the dough well. Divide into small balls. 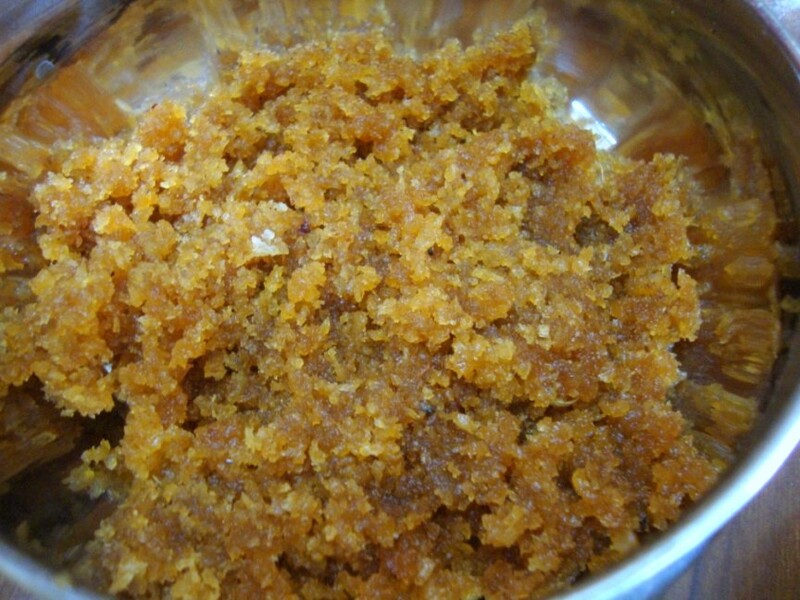 Grease the Kudumulu press or shapes with oil. It looks like a garlic bulb. Press well. Then take a small piece of dough and cover the top. Once done place them on the plate for steaming. Steam the kudumulu for 15 minutes. We had fun time making this together. Towards the end I was impatient and made with hand too. While Konda continued doing it. Have a great week ahead. I will be traveling and will try to schedule some posts if possible else catch you once I am back. 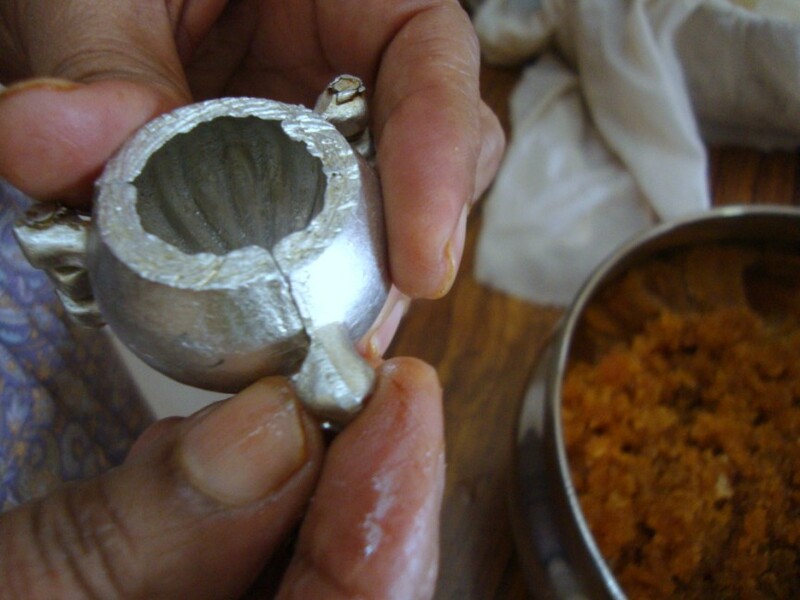 We call it Kozhukkatta.Some times they add some spices to the mix,like cardomom.Tempting. adorable shape..never had the press of this shape! seriously I keep looking at these and wish I could eat somemore…from the time u posted these! Thank you everybody, I am so glad this has so many likes! Jennifer, I also make with these without the press most times. With this press you really got to spend some time making it. Freehand is much faster. 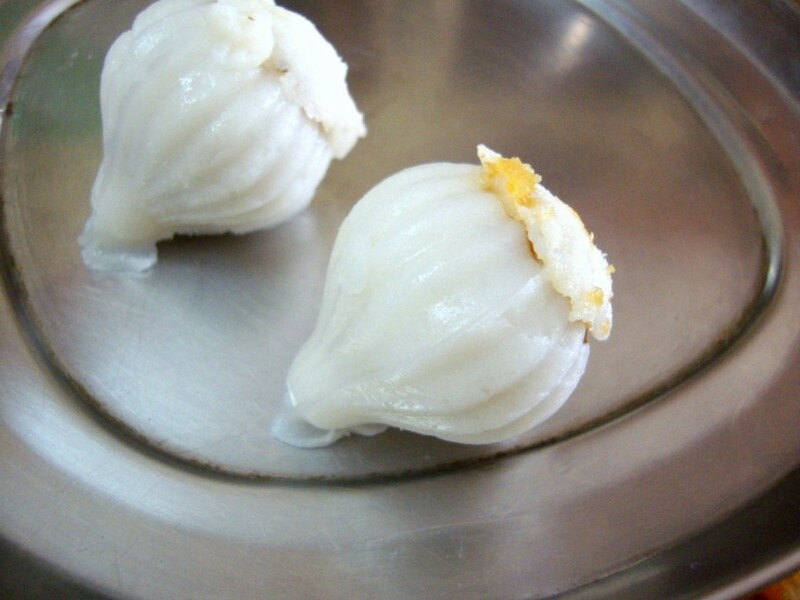 Maybe I will do a post on that too sometime..:)..thanks for asking..
Lovely modak and nice step by step discription. You can send this recipe for my only "FESTIVE" Event. 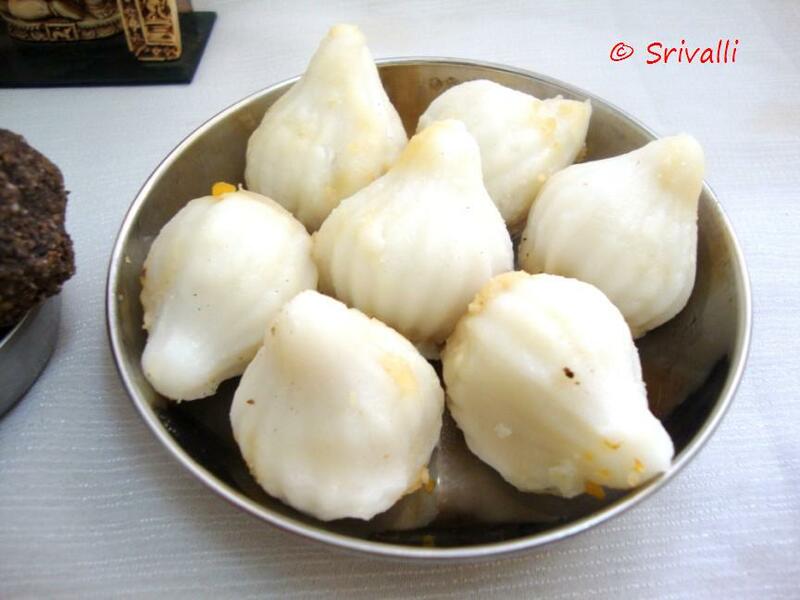 The modaks look just delicious. Love the moulds..they look so pretty! Love the molds, these small wonders look moist and delicious! Its lunch time and Im hungry and your recipe is simply mouth watering. 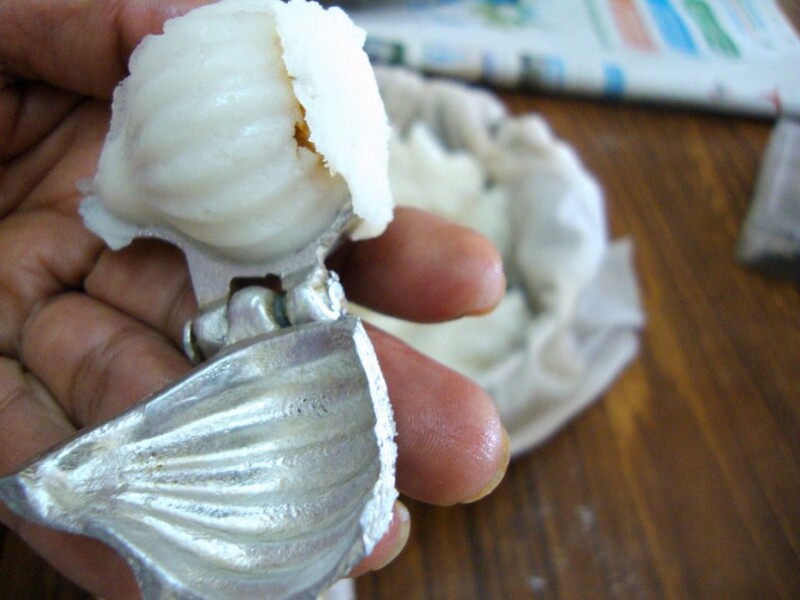 lovely recipe……where did u get that mould from…its sooo handy….modaks really looking good!!! 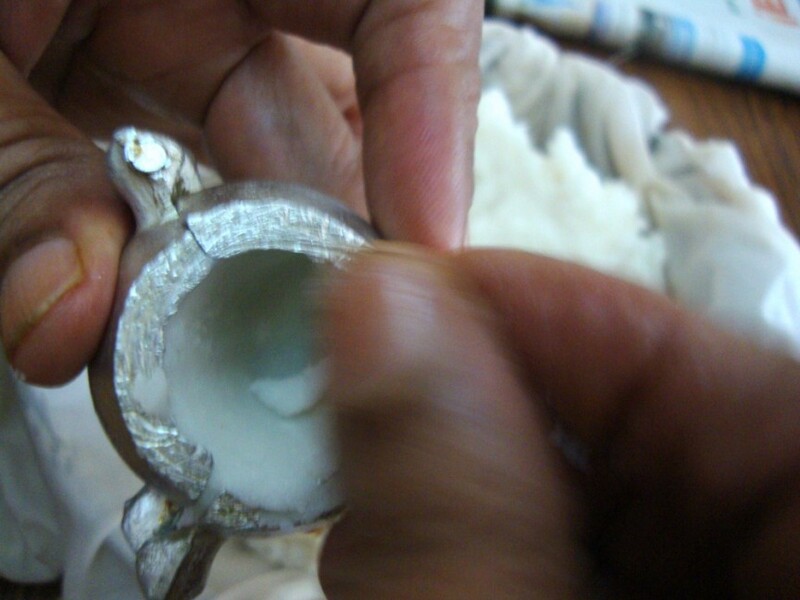 I am glad that all of you liked those moulds..
Biny Anoop, we got this in Madras.